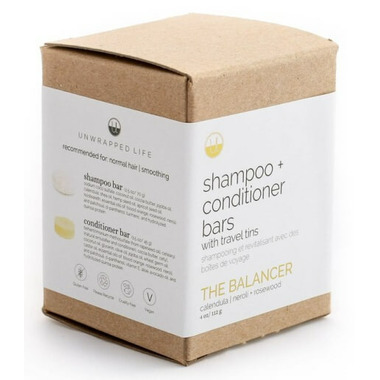 Directions: Apply shampoo bar directly to wet hair and work bar through strands of hair. Massage through hair until desired lather is reached then rinse thoroughly. For conditioner, start at the scalp and massage bar through hair to the ends. You should feel the ‘slip’ of the conditioner in your hair when you rinse thoroughly. Conditioner can be reapplied to ends and left in as a detangler. Dry and style hair as usual. Keep product out of eyes, ears, nose, and mouth. Just like it’s a good idea to ‘dry out’ after a fun weekend with friends, these bars last longest and perform best when allowed to dry between use. They recommend storing them on a soap dish with drain holes and keeping them away from spraying water while not in use. Caution: Keep product out of eyes, earms, nose and mouth. Vraiment parfait! Le shampooing nettoie trÃ¨s bien les cheveux et ne laisse pas de rÃ©sidus. Le revitalisant fait trÃ¨s bien son travail! Mes cheveux Ã©pais, forts et avec tendance aux frisottis ne peuvent pas demander mieux! 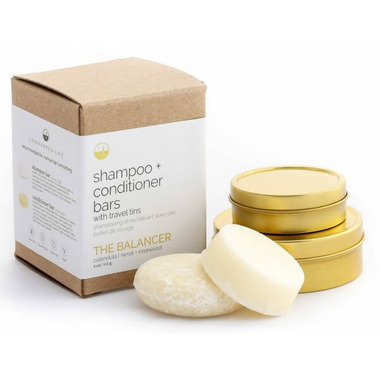 This is the best shampoo bar! And I've tried lots. Lathers nicely like 'regular' shampoo. Nice, soft scent. And kind on your hair. Try it.